After a tight start to the RC44 Championship Tour in the BVI nine weeks ago; where Team Aqua snatched victory from Peninsula Petroleum, the 12 teams are gearing up to do battle again, for round two, at the RC44 Cascais Cup, 23 – 27 April. 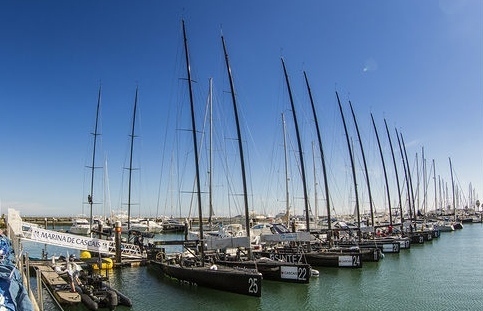 The event will be hosted by the Clube Naval de Cascais for the third consecutive year in the Bay of Cascais, the venue may not be new but the fleet will welcome some new faces. Dutch businessman Nico Poons’ Team Charisma have chartered Puerto Calero Residence Club for the event, to sample their first taste of RC44 sailing. MAG Racing with new co-owner Artur Kasner, Terry Hutchinson, Tom Slingsby and John Kostecki all rejoin the Tour. 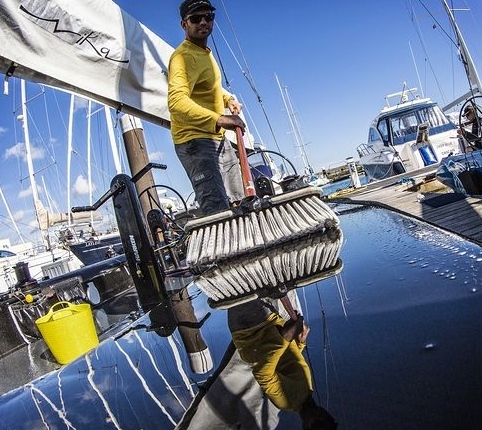 Owner Poons is no stranger to international yacht racing having won the Swan 45 World Championship and Farr 40 North American Championship previously. The Charisma crew will include Olympic gold medallist and America’s Cup winning strategist, Tom Slingsby (AUS) as tactician. Volvo Ocean Race sailor Ross Halcrow (NZL) joins as trim and Mini Maxi and Maxi World Champion Chris Hosking (AUS) joins on main. American Olympic silver medallist and America's Cup veteran, John Kostecki (USA) will call the shots for Andrea Pozzi and his Italian team Bombarda Racing and one of the world's most successful big boat tacticians Terry Hutchinson (USA) joins Vladimir Proshkin’s Team Nika. Returning to the fleet after a break at the start of the season Polish team MAG Racing welcome new owner Artur Kasner who will share the helm event by event with current owner Krzysztof Krempec. 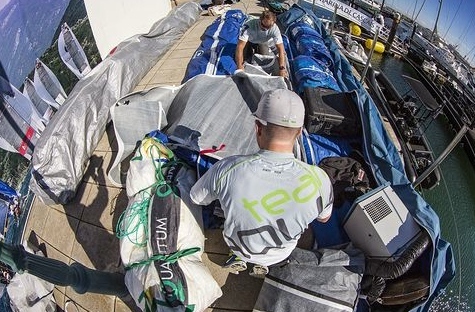 The event will kick off with a day of match racing in the Bay of Cascais. The remaining four days of fleet racing will see the course move outside of the Bay. In previous year’s Cascais has served up a mix of challenging conditions for the sailors, with big swell and a sea breeze that gusts and lulls, demanding maximum concentration. As the fleet continues to get more compact, Team Aqua the defending Champions, led by Chris Bake and tactician Cameron Appleton, have their work cut out defending their position at the top. 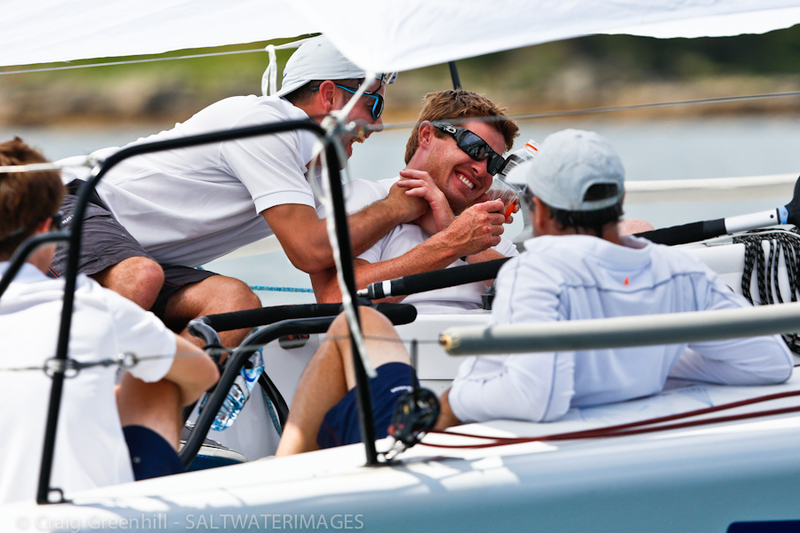 Team Aqua's grinder Ben Graham explains, "It has never been easy to win in this class but there are a lot of guys coming back from the America’s Cup and the teams are really stacking themselves up with some serious talent. It was hard in the BVI’s and I have no doubt it will be hard for the rest of the year, but that's what makes it fun." Sitting in third overall is Valentin Zavadnikov and Leonid Lebedev’s Synergy. The team were able to keep their cool at last year’s Cascais Cup, fending off five boats in contention for the title on the final day, to take their first ever RC44 event win. Racing runs from Wednesday 23rd April for five days through to Sunday 27th.